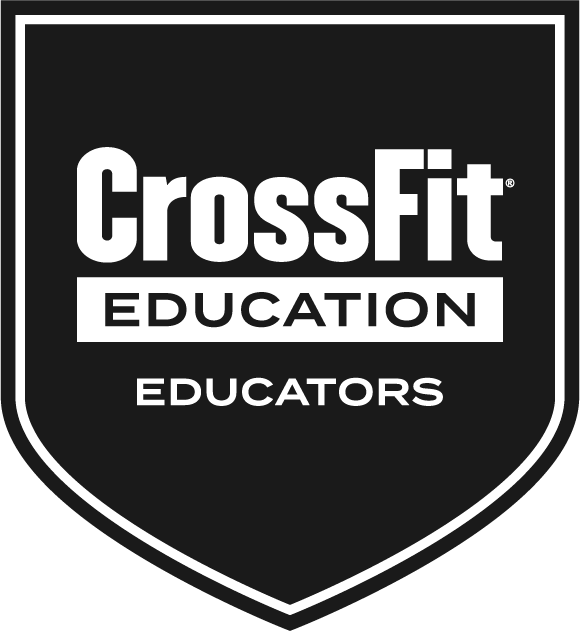 The CrossFit Specialty Course: Educators is a continuing-education opportunity designed to inform, inspire, and outfit classroom teachers with tools to implement CrossFit methodology to K-12 students in an age-appropriate way. This two-day course combines elemental information from the CrossFit Level 1 Certificate Course and the CrossFit Specialty Course: Kids to provide both a foundational knowledge of CrossFit and a framework for teaching students how to move well, increase their fitness, and facilitate effective learning throughout the school day. This course is hosted on campus to allow a large number of staff within the school district to participate and can be specifically structured to focus on either the elementary/middle-school or middle/high-school levels in order to provide the most thorough and relevant information to particular participant needs. To inquire about hosting opportunities for this course, contact crossfit.kids@crossfit.com. Define scientific principles supporting the CrossFit prescription as it applies to all age groups. Demonstrate understanding of CrossFit’s foundational movements. Demonstrate age-appropriate teaching, cueing, and correcting of CrossFit’s foundational movements. Define the role of age-appropriate exercise in the long-term goal of establishing healthy habits for students. Safely and effectively implement a weightlifting program with young athletes. Discuss nutritional concepts with students in a way that supports educated decisions about food. Design lesson plans that will meet the developmental needs of students of different ages and abilities, as well as align with National Physical Education standards. Participants must possess an active teaching license within the United States (or comparable credential). A Certificate of Attendance will be sent to the email address used for registration 1-2 weeks after course completion. Upon successful completion of this course, a Certified CrossFit Trainer may claim 14 CEUs toward his or her continuing education. ** CrossFit reserves the right to update pricing at any time. Pricing is applicable at the time course registration is opened. Applicable local taxes are additional. CrossFit does not accommodate refunds or transfers. Links to the CrossFit Level 1 Training Guide and CrossFit Specialty Course: Kids Training Guide will be provided in confirmation emails upon course registration. Seminar Guides (sent with course confirmation emails) for use in practical sessions, and for notes. Attend and participate in all parts of the CrossFit Specialty Course: Educators. Please arrive at 8 a.m. on Day 1 to check in.